We are into week two of our A-Z footprint crafts. 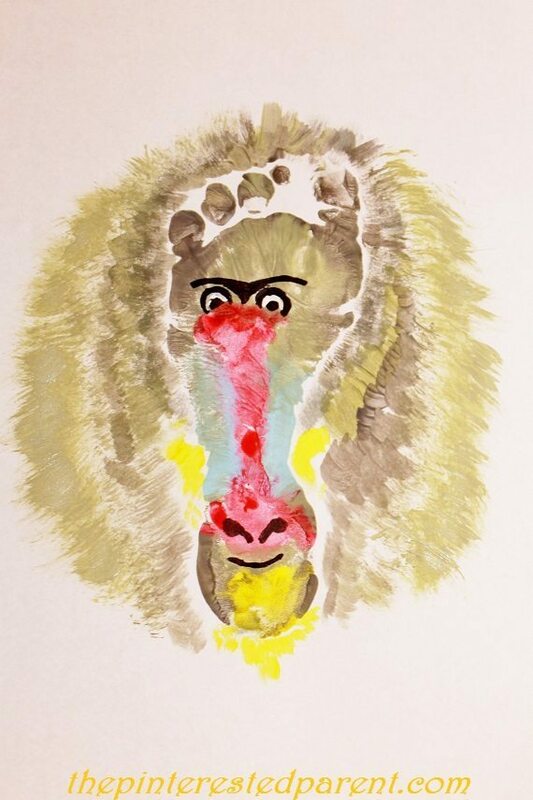 Our choice for the letter “b” is baboon. My daughter made a deal with me regarding our footprint craft. 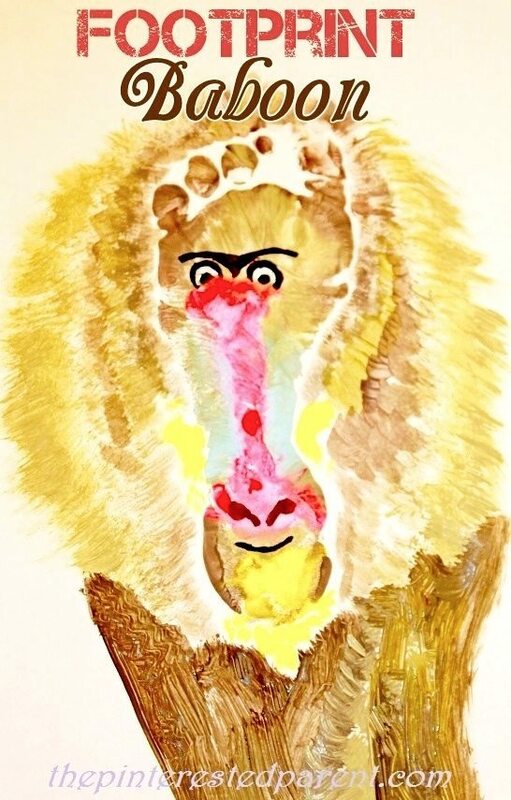 She said that if she let me make a baboon out of her feet, then she would get to paint my feet too. I agreed, of course. 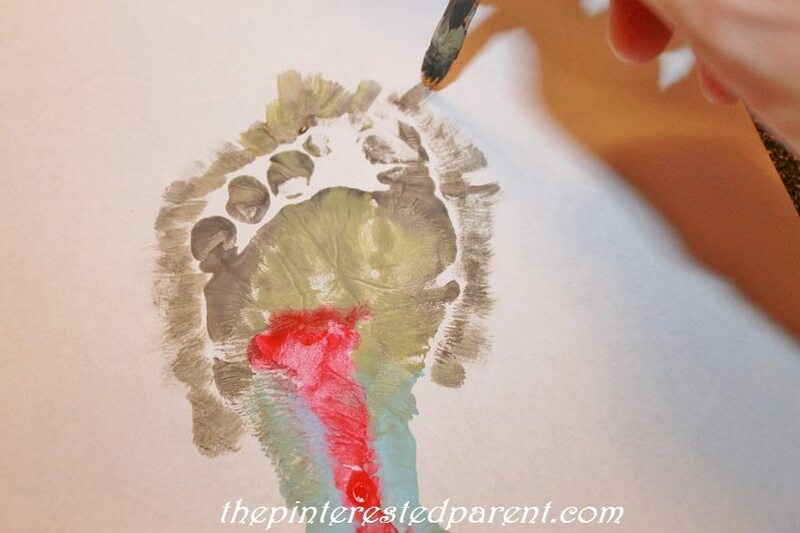 To make our footprint baboon, paint around the outline of your child’s foot with a dark brown. Paint inside of the outline in a lighter shade of brown. 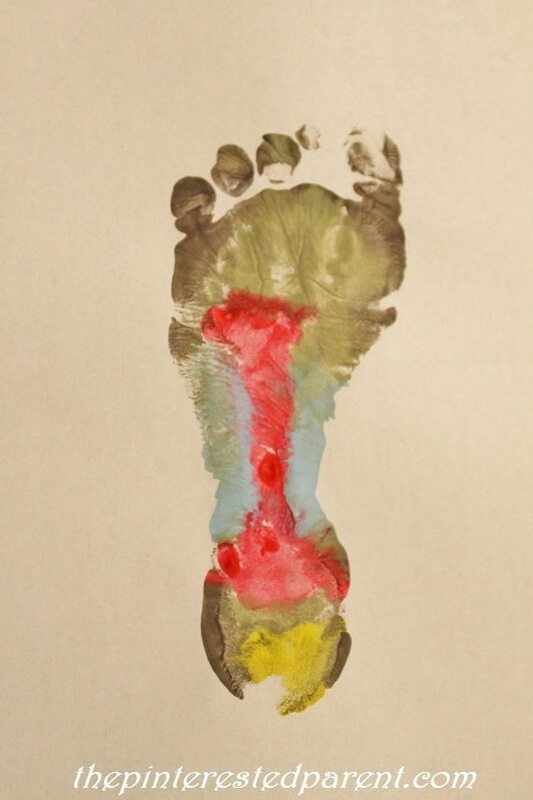 Paint the heel in yellow & then paint an upside down “T” with light blue around it as shown. Press it onto a piece of paper. Draw in the nose & mouth on the heel. Dry brush around the outside of the foot using a fanned out brush to make the fur. Paint in the body in dark brown to finish off your craft. True to my word, I let Mai paint my feet. 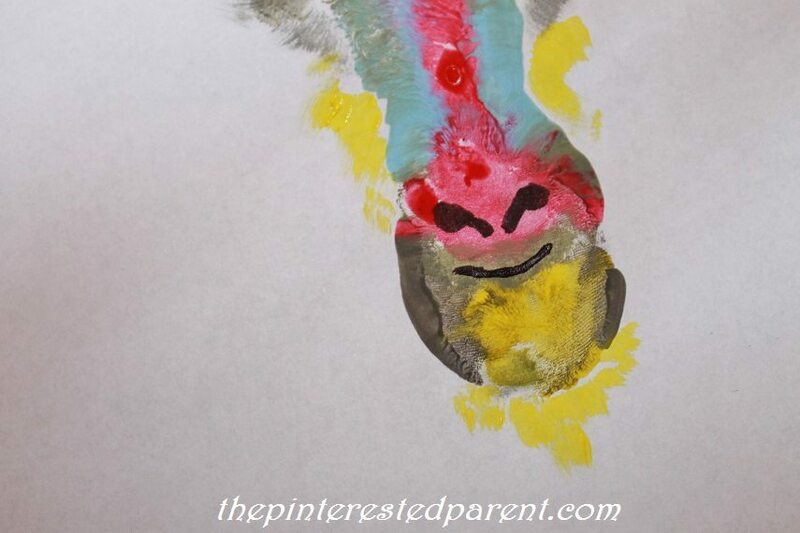 She painted it & pressed it onto the paper & set it aside to let it dry. I can’t wait to see what she makes with it. 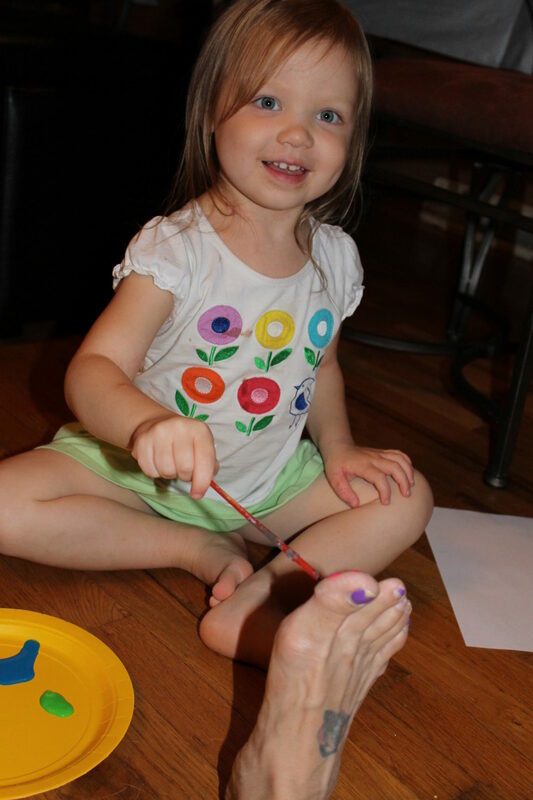 One of my favorite kinds of kid’s crafts are any that have to do with there little hands or feet. I love hand prints & tracings. My daughter and I have been dabbling with tracing a lot lately. She loves trying to trace her hand. It is adorable,really. She will trace hers & then say “Mama, trace hand toooo?” Absolutely, baby! 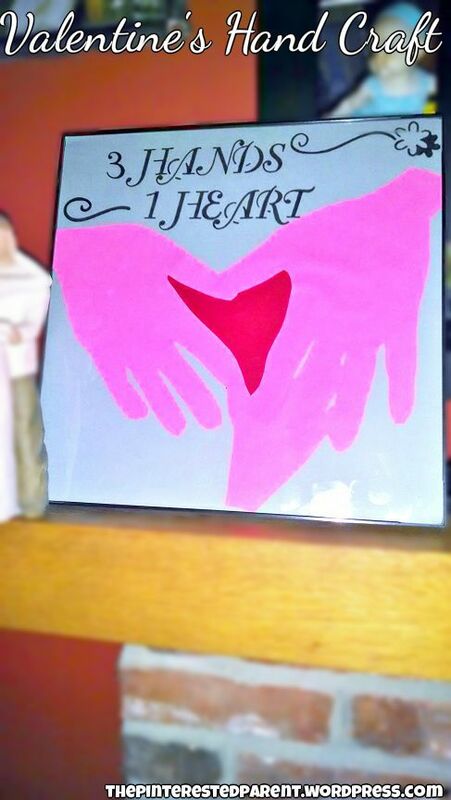 Their sweet little hands make such wonderful keepsake art. It will be such an “awwwwww” inducing memory to look back on in the future. 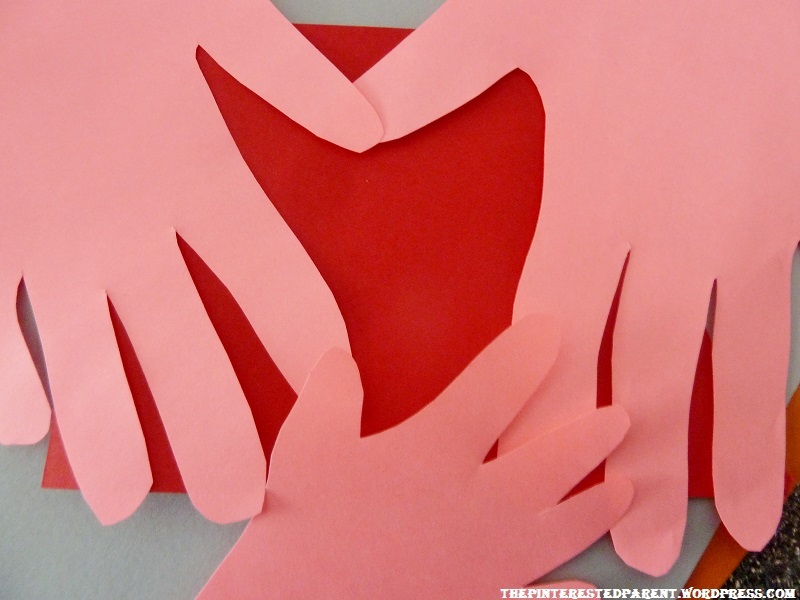 Here is a Valentines inspired craft featuring the whole family’s hands. 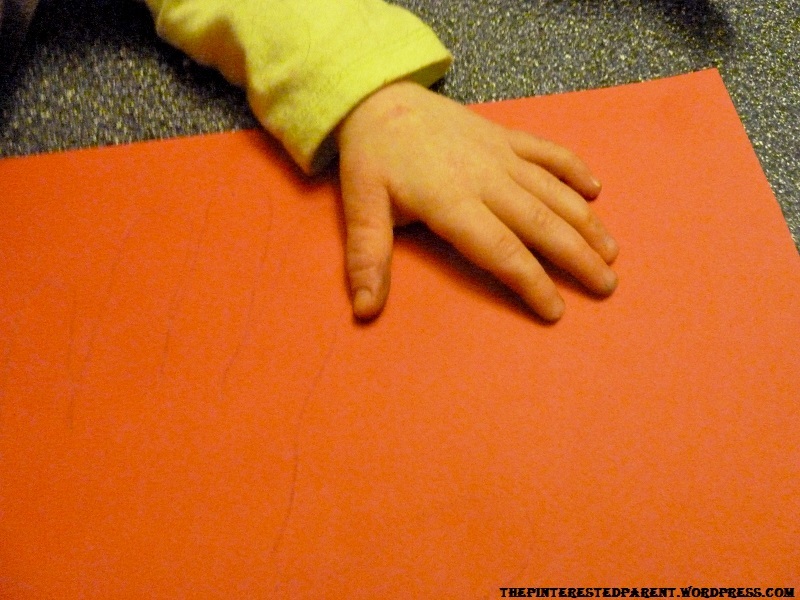 Place your hands (mommy, daddy, baby) on a piece of construction paper. 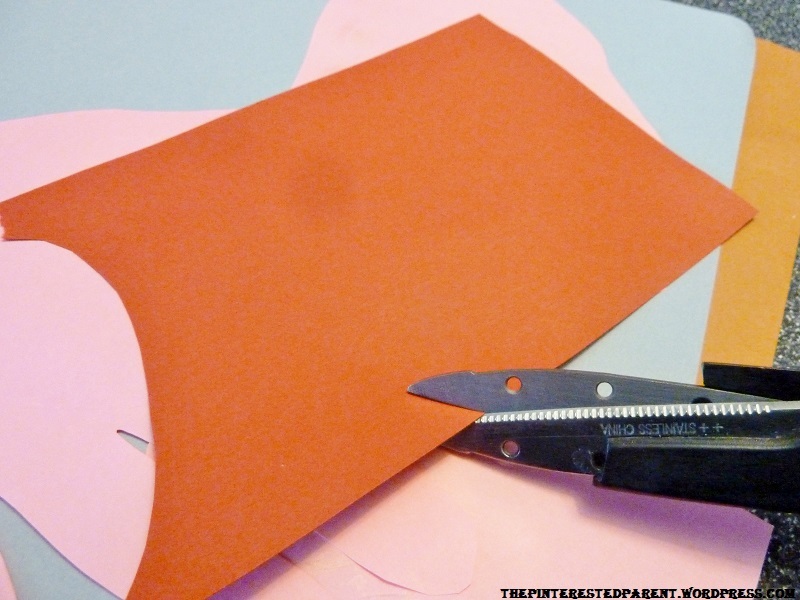 Cut around the outlines of each of your hands. 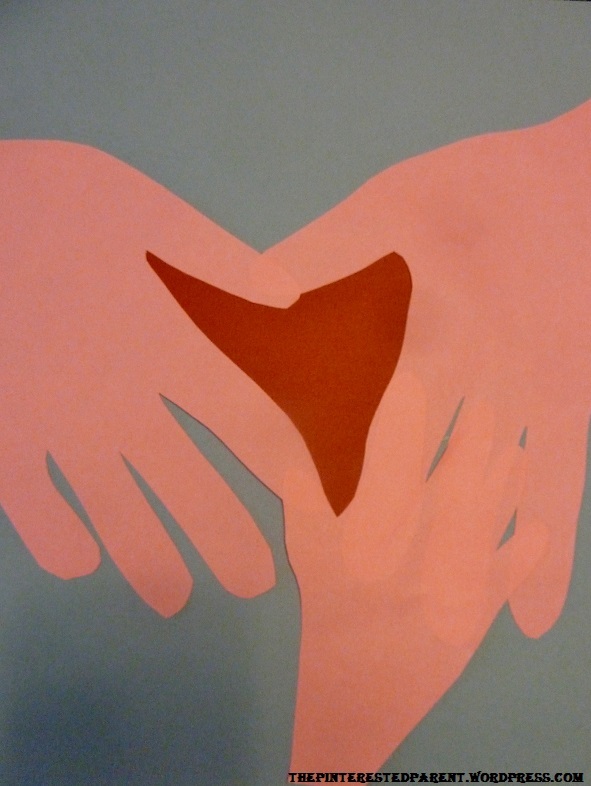 Place hands in an overlapping pattern to form a heart in the middle. 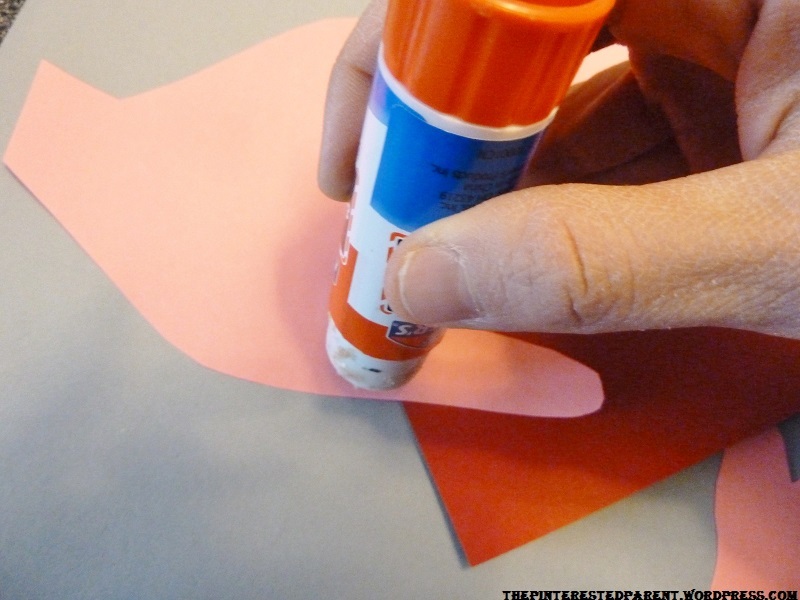 Using a glue stick, glue them into position over a contrasting color. 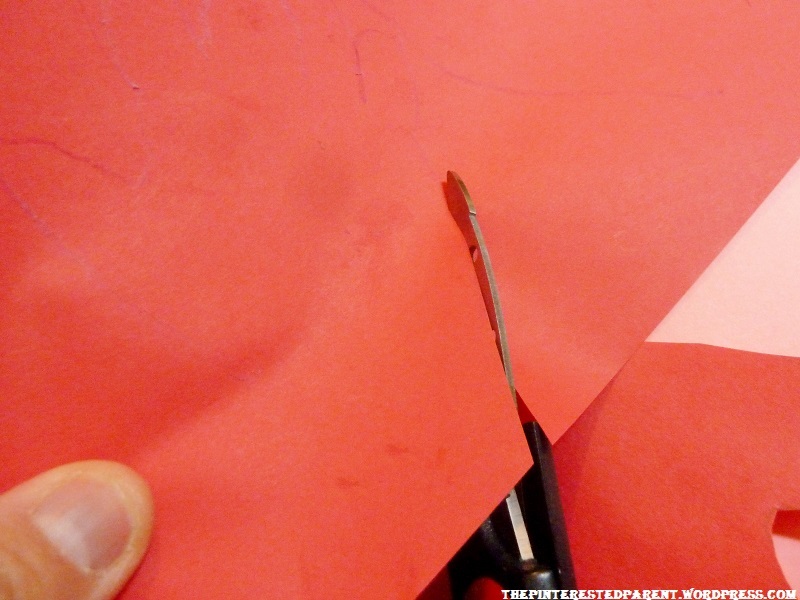 Flip over & cut any excess to the contrast paper so that only the heart shape shows. 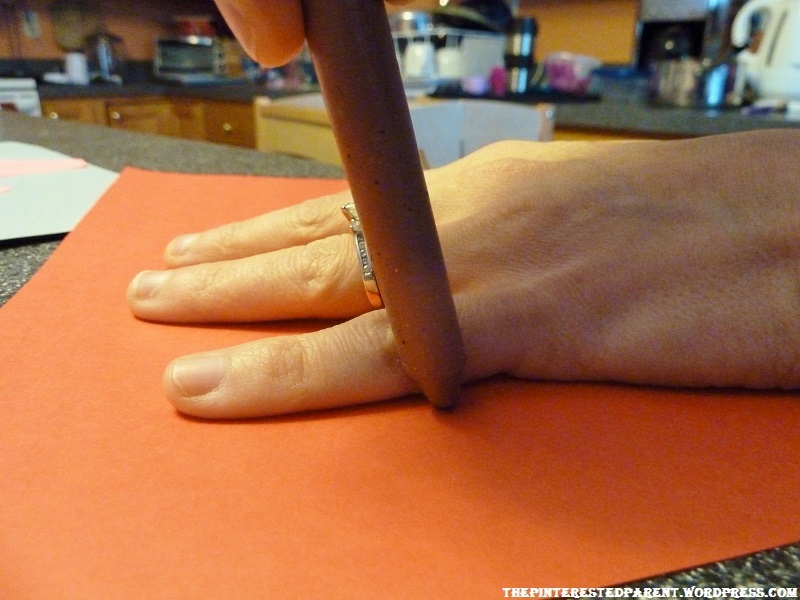 Glue the hands & heart to another piece of contrasting paper. 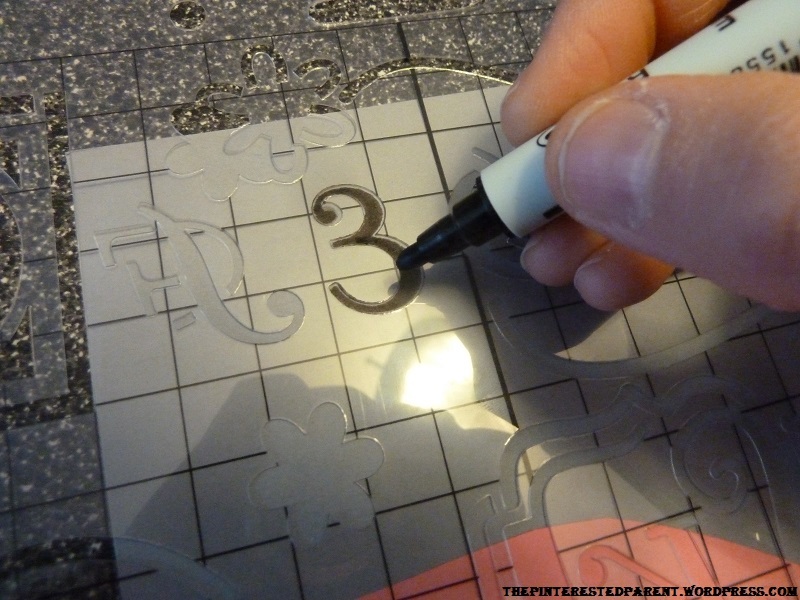 Use a stencil to trace out your saying. Let the marker dry & glue dry. Place your new creation in a frame. 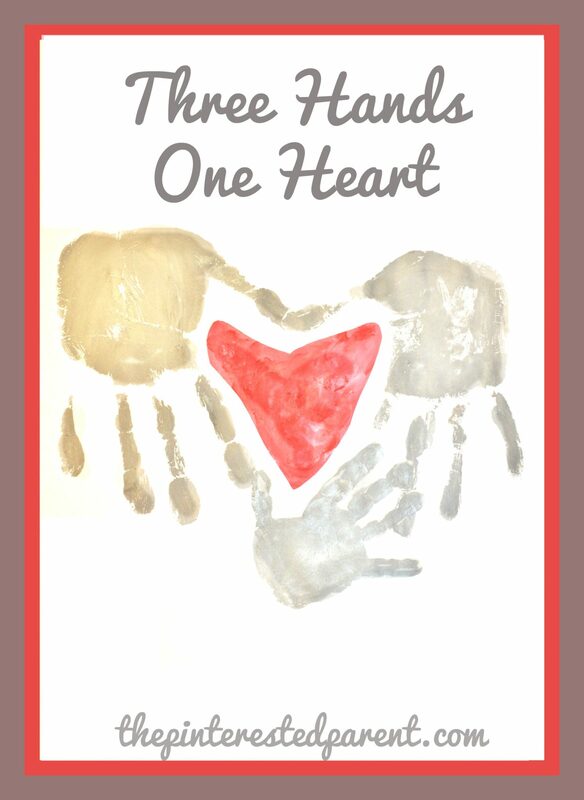 We have since made a new family heart using our family hand prints instead of the cut-outs.